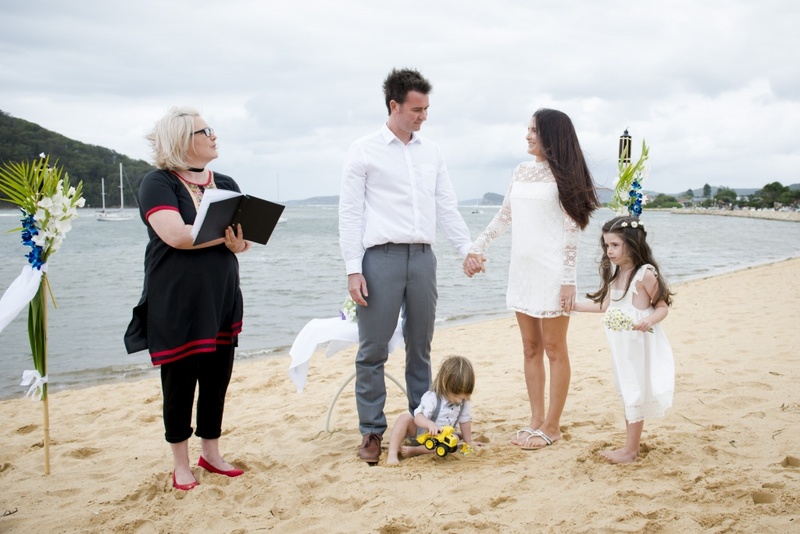 Melonie and Nathan wanted a simple wedding with just their nearest and dearest present. 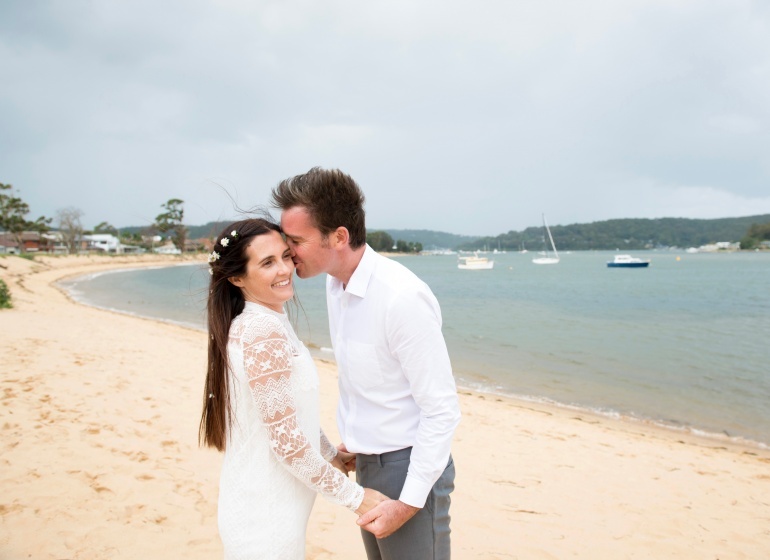 They had recently moved to the Central Coast from the Northern Beaches of Sydney, so Ettalong Beach was the perfect choice of wedding location. Some of their friends arrived at the wedding by ferry from Palm Beach! The day was cold and rain threatened us a few times. In the end it was the wind that kicked in and made the boys run to catch a flyaway shade tent as it blew off the beach and into the trees! Melonie and Nathan have been together for 10+ years, so they considered themselves practically married. I just helped them with the legalities in a relaxed family gathering. Two year old Nixon was completely uninterested in wedding stuff… he preferred to utilise the giant sandpit and drive his diggers around. Everyone was happy! 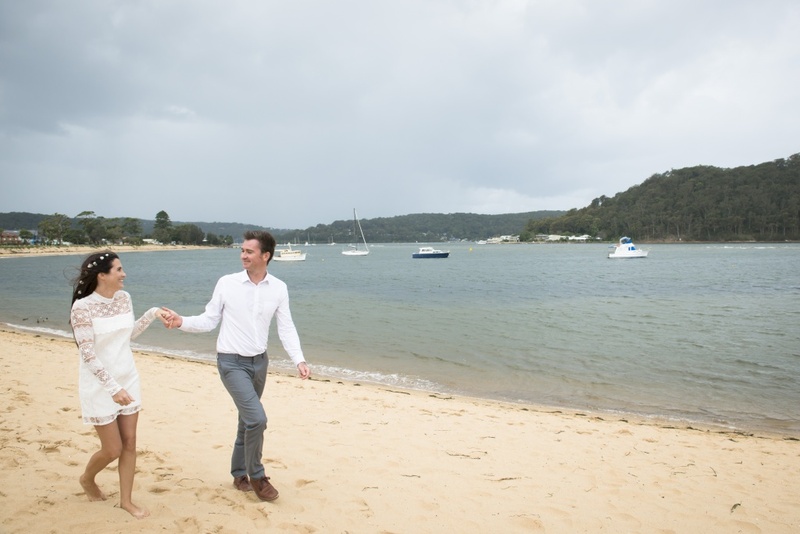 Thank you to Lisa Haymes Photography for the beautiful photos.